Every parent would agree that getting their baby fall asleep easily and peacefully throughout the night is something equivalent to God-send. What if we tell you there is a machine that is able to do just that? While it is not 100% foolproof, parents do report a positive improvement once they use what is called a sound machine (also commonly known as white noise machine) to put their baby to sleep. Do you have a hard time putting your baby to sleep? Then read our baby sound machine reviews below to find out what is the best baby sound machine for you! 1. What is White Noise? "White noise is a sound created when different frequencies of sound that is audible to the human ear and brain (between 20 - 20,000HZ) are put together at a similar level." Now, you might think: whoa, isn't that gonna sound messy? Yes, when you can still pick out and identify individual sounds from a mesh of background, it is going to be noisy. But, when all sounds of different frequencies are put together at the same time, it blurs into that of a 'hissing' or 'shushing' sound which you can no longer decipher separately - this, is what you call 'the white noise'. So why is this soothing to babies? In fact, adults also find it comforting and helps with their sleep quality. White noise promotes relaxation prior to sleep by providing a constant, soothing sound for your baby's brain to settle down. This helps quiet the mind and keeps your baby from focusing on disruptive sounds, which interfere with the process of falling asleep. You see, babies (or light sleeper adults) are easily kept awake or woken up by sudden sounds (hence all the tiptoeing around in the nursery!). White noise help to drown out all these unwanted sounds so that babies can fall asleep easier and sleep better for longer. Don't worry about the humming sound disturbing your baby - babies actually find white noise, or nature sounds, relaxing and soothing. They are used to listening to constant noise while still in the womb (it's not the quietest place, with blood rushing by) so rather than being disturbed by it, it actually provides them the same sense of security and comfort as is the womb, which they have already gotten accustomed to for 9 months. You can go and record the sound of rain, wind or ocean (all of which have a similar effect because they are actually different tones created by the forces of Mother Nature) and play it to your baby, or you can buy a white noise or sound machine that does exactly just that, without all the hassle and fuss. So why is this soothing to babies? In fact, adults also find it soothing and helps with their sleep quality. The Marpac Dohm-DS is one of the oldest and most popular sound machine that has existed since the 1950s and is seen as the gold standard in white noise machines. While it is not geared exclusively for babies in that it does not play lullabies or classical music like some other brands do, it creates the best white noise (in the form of the 'swooshing' of air) which may be just what your baby needs to fall asleep and throughout. While most other brands create such sound by digital or electronic recording nowadays, Marpac Dohm does this by having a real fan inside. This is no ordinary fan - it is the best fan for white noise because it creates the soothing sound of rushing air, but without the blast of cold air so you do not have to worry about your nursery temperature being lowered down. You can adjust the tone and set the volume according to your nursery's environment and sound masking requirement. This all-natural white noise is proven to effectively block noises at a broad range of frequencies so that your baby can get deep, undisturbed sleep all night long. 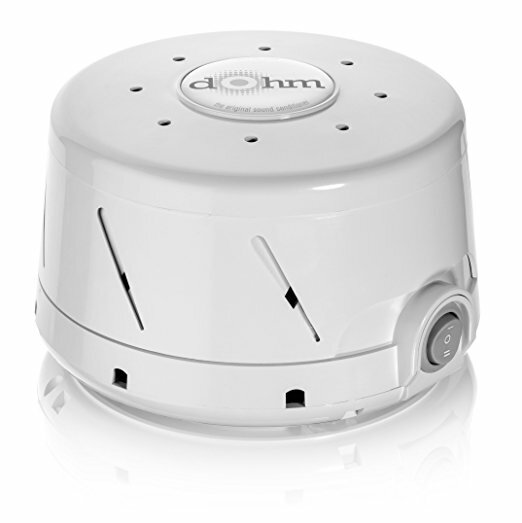 The Marpac Dohm-DS All Natural Sound Machine is the best white noise machine for baby if you want something simple that works, with no fancy add-ons. And because of its very simple design, you can use it for yourself too (it is the best white noise machine for snoring!) when baby no longer needs it. While the Dohm is compact enough to fit into the palm of your hand, it has another portable version which parents also love as it is very portable and travel-friendly, thanks to its lanyard for easy handling and hanging! If you think the Marpac Dohm is a tad too serious looking, or you want a sound machine that is light and portable for your on-the-go lifestyle, then Cloud B's On-the-Go Travel Sound Machine Soother is the best baby sound machine for you. You will need this when you travel overseas because it helps to soothe your baby down in an unfamiliar environment. ​Like the original award winning Sleep Sheep, this compact version is specially designed with portability in mind. You can strap this sound machine to your travel crib, car seat, cradle or even baby stroller with the velcro strap provided and your baby can sleep easily anytime, anywhere - definitely the best portable sound machine of its kind! 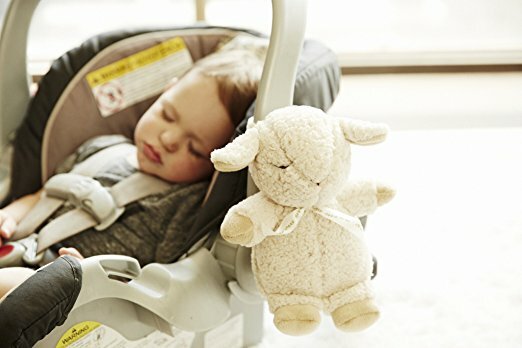 However, unlike the original Sleep Sheep, this travel version has 4 soothing sounds only (gentle stream, spring showers, ocean waves and harmonious whale sounds ) but they are good enough to help your baby sleep easier. If you are looking for the best nature sound machine, this is the one. It fits easily in a diaper bag or luggage which is good, because you will need this when you travel overseas to help soothe baby down in an unfamiliar environment. For added convenience and also to save battery power, the sounds will automatically time out after either 23 or 45 minutes, which we think is sufficient for your little one to drift off to dreamland! Not only does it work as sound machine, the soft and plush design makes it a cuddly soft toy that babies love! When white noise is no longer required, you can easily turn it into a soft toy only simply by removing the sound box. It comes in other forms of animals too (this is another favourite, with night light too!) but the Sheep is the most popular one out of all. Whichever you buy, you can be sure that these adorable sound machines will adorn your nursery, with the best noise for sleep. Like the award winning original Sleep Sheep, this travel version has 4 soothing sounds (gentle stream, spring showers, ocean waves and harmonious whale sounds ) to help your baby sleep easier. If you are looking for the best nature sound machine, this is the one. For added convenience and to save battery power, the sounds automatically time out after either 23 or 45 minutes--giving your little one plenty of time to drift off to dreamland. Baby Einstein Sea Dreams Soother is another one of the best sleep sound machine that has been a parents' favourite for years (you know we love its Activity Jumper - read reviews here)! 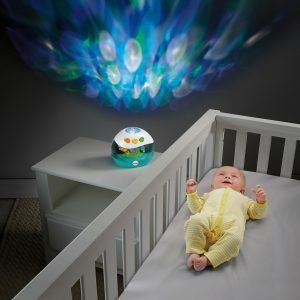 Unlike the previous white noise machine baby reviews, Baby Einstein Sea Dreams Soother also comes with motion and light effects. Yes, this is one of the best sound and light machine for baby if you are hunting for one that comes with light. It has 10 classical melodies and calming ocean sounds which you can play in 4 modes - melodies with lights and motion, melodies only, ocean sounds with lights and motion or ocean sounds only. Psst, this is one of the best wave sound machine in the market! Its Perfect Fit Universal Crib Attachment fits most crib rails perfectly so that you can hang it by your baby's crib to soothe him to sleep. 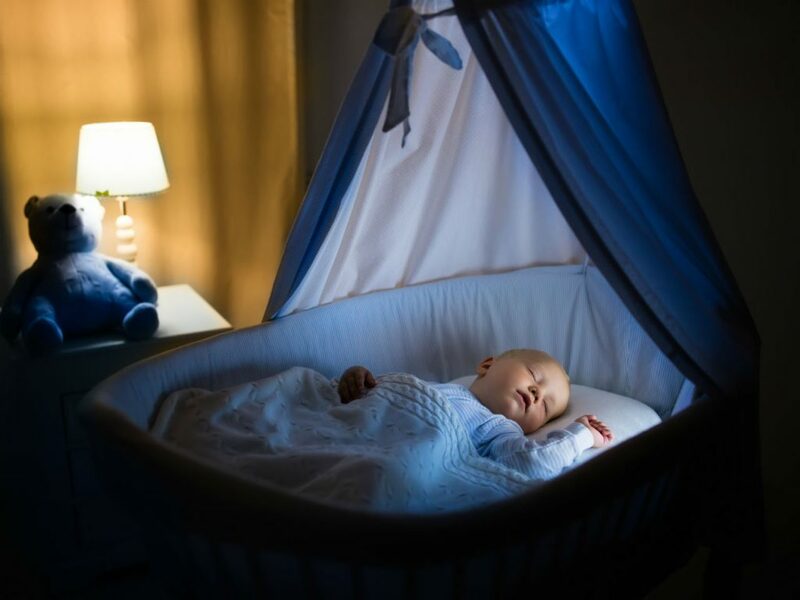 If you worry that the lights and motion will be too much stimulation for your baby, don't be - both lights and melody will gradually soften after each 10 minutes until your baby drifts off to sleep. If 10 minutes is not good enough, you can always control the soother from up to 15 feet away with the remote control that is provided so that you do not need to disturb baby. Or, you can always place it by the bedside, which is what most parents do for their toddlers as they outsize the crib. Baby Einstein Sea Dreams Soother is one of the best rated sound machine that grows with your baby. 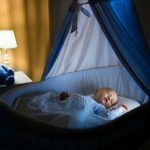 Parents especially love its night light function because it eases their toddler's fear of the dark without them having to buy one separately when their child grew out the crib. Both lights and melodies will gradually soften after each 10 minutes until your baby drifts off to sleep. 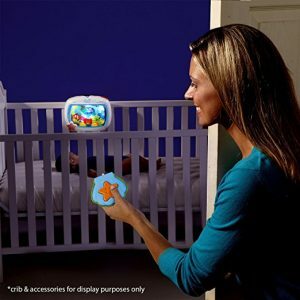 Fisher-Price Calming Seas Projection Soother is the best sleep machine for those that want to lull baby to sleep with sound and light. This white noise machine produce gentle nature sounds and up to 60 minutes of lullabies to ease your baby into sleep. It also emits a soft full-room light show with dancing light 'bubbles' that is projected in soothing waves of colours on the ceiling and wall to lull your little one to sleep. If you think that such vision stimulation may do the opposite and keep baby awake, you have nothing to worry about. The rotating fish and seahorse were all extremely relaxing and most importantly, it has 3 settings for you to control the light, all of which emit different levels of soft and calming ambient for your baby to drift off to sleep. All of this soother’s calming features help to provide baby with a sense of comfort and consistent bedtime routine. This tabletop soother grows with baby from newborn to toddler. When baby gets older, turn on the light-up sea show to watch the fish and seahorse swim round ‘n round inside! 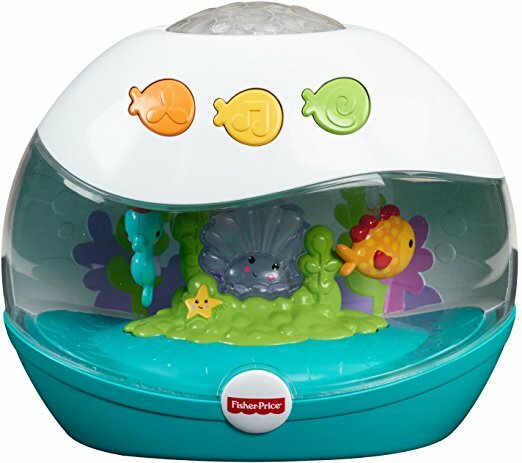 Fisher-Price Calming Seas Projection Soother is one of the cheapest sleep sound machine, given all the features it comes with but nonetheless, still one of the best rated sleep sound machine in the market. 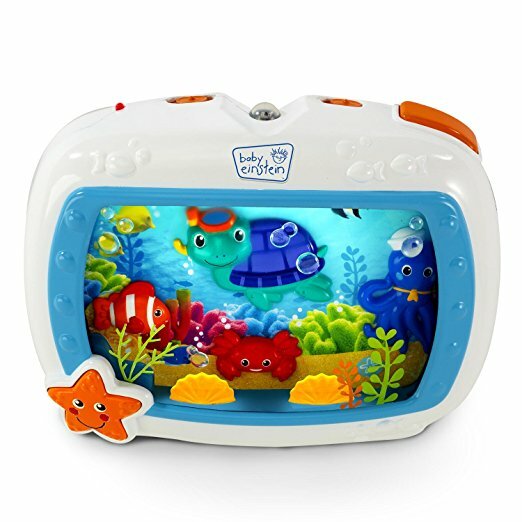 When baby gets older, turn on the light-up sea show to watch the fish and seahorse swim round ‘n round inside! 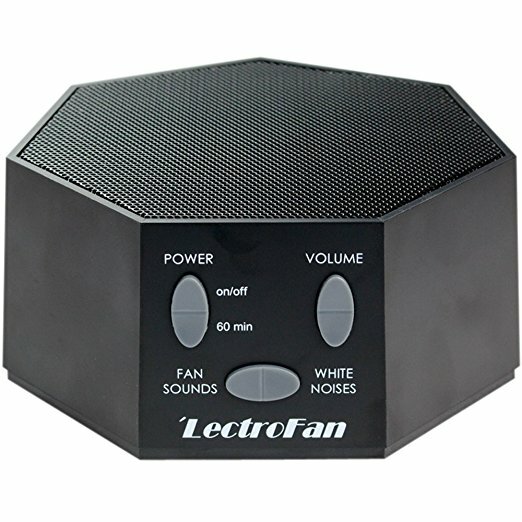 We feel bad for rating the LectroFan High Fidelity White Noise Machine here at number 5. Contrary to what you may think, it is not due to its functionality that renders it this spot. Rather, it is its appearance that many parents do not like, at least not in their nursery. The LectroFan is even more plain and boring looking than the Marpac Dohm, and definitely not as sleek and compact as the latter. Plus, it has to be powered by AC or USB which do not make it the most convenient to use as you know, we generally do not like too many cords, especially not in the nursery. However, its noise blocking ability is top-notch quality with the twenty unique digital sounds it offer to mask noises. The sounds produced are either fan or white noise sounds, all non-repeating with no moving parts and you can set the perfect level of volume to suit your unique environment. This is actually the best white noise machine for sleeping! If you live in a particularly noisy neighbourhood, be it from the traffic, your neighbours or just dogs barking, the above three children soothers may not be effective enough to block out these noises. You will need a powerful white noise machine like that of the LectroFan which work wonders in masking these disruptive environmental noises to make your nursery, well, your nursery again for your little one to sleep away. For the practical moms and dads who just want the best white noise machine for baby and do not care how it looks, the LectroFan High Fidelity White Noise Machine will suit your purpose. The best thing about it is, you can use it for yourself too be it in your own bedroom or office (it makes for the best white noise machine for office). Adults have raved about how it is the best white noise machine for snoring and best noise cancelling machine from noisy neighbours. Oh, it is also one of the best white noise machine for tinnitus, too! You now know our guilt of ranking it here, don't you? If you do not want to spend extra money getting a white noise sound machine, you can definitely go the old school way of using a stand fan. It generates pretty much the same white noise, just make sure it is not blowing directly on your baby! Another device that will work, and something that you may already have gotten for your nursery anyway, is the humidifier. We have an extensive review about the best types here which after reading, you may consider getting one of them instead of a white noise machine in the end. There are published reports out there analysing the disadvantages of white noise/sound machines, the two main concerns being sound machines, if exceeding the recommended 50 decibels noise level, will potentially cause hearing damage or delay language and speech development in childre. While it does not say that all noise machines will cause these problems, we thought it is something you may want to know. If you're getting the stronger ones, make sure they are placed at least 2 metres away from your baby and it should be safe. 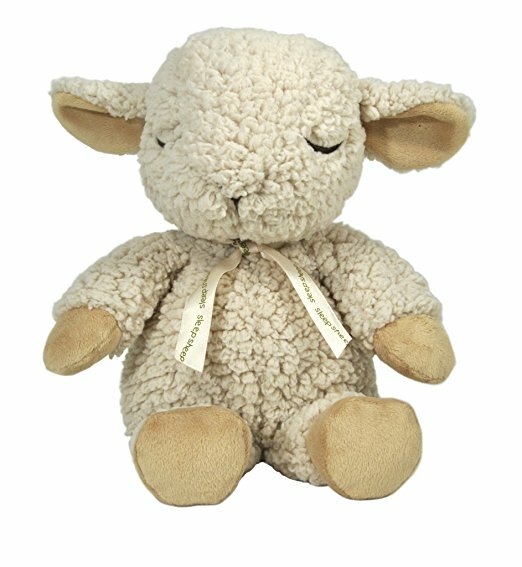 Sound soothers designed specially for the crib like the Cloud B Sleep Sheep are generally safe so you do not have to be overly concern. Do you have a hard time putting your baby to sleep? Compare and find the best baby sound machine to help solve this problem! Don't miss out these awesome deals this Black Friday and Cyber Monday!